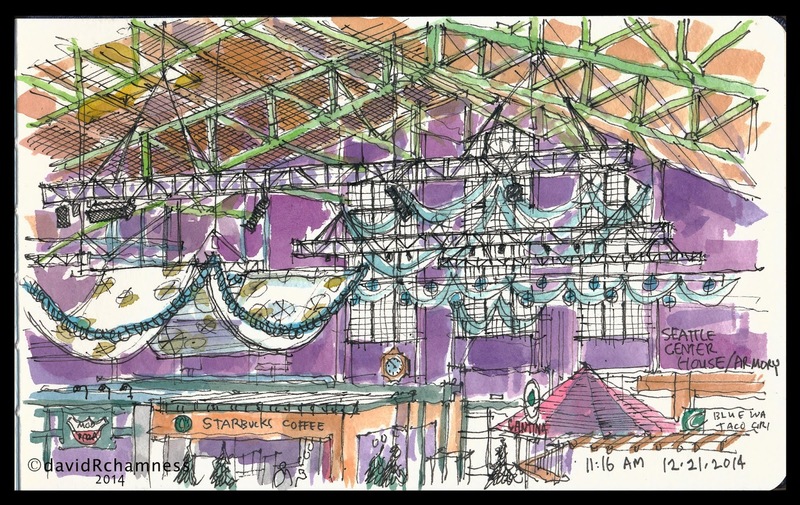 Enjoyed seeing everyone at the monthly Sketch Outing at the Seattle Center Armory Building. So many things to draw... not easy to capture the larger space with wires and many things hanging from the ceiling. The contrast light of the large windows at the end of the room made it even more difficult to see the things in the shadows of the room. Sometimes you just have to dive in, draw and see what comes out at the end! After the sketch outing, my wife and I visited the Chihuly Museum. 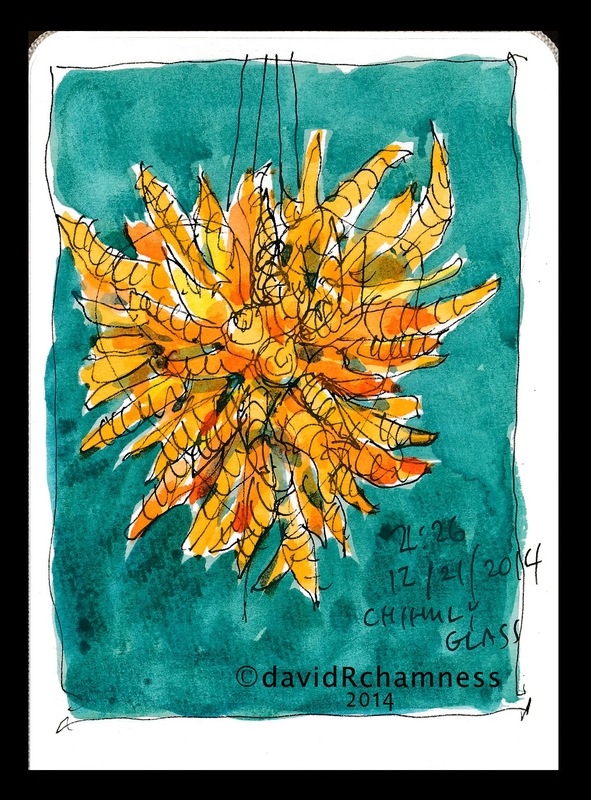 The colors of the glass were wonderful and I was able to sit and do a quick sketch of one of his hanging chandeliers. Looks almost light a large christmas ornament.